Amanda is one of the hardest working and most knowledgeable realtors I have met. Over the past three years I have sold acreage as well as my home. I contacted Tarheel Realty II as I have known the Hedrick-Osborne family for a number of years and know their business standards always are above and beyond. Amanda Coleman, Broker/Realtor with Tarheel Realty II was the person who was very instrumental in finding a buyer for each of these transactions. She started working immediately to find a buyer for the acreage. Within a few months she found a buyer for the acreage. During this time Amanda was in contact with me every few days giving me updates and keeping me informed. After working with Amanda during the sale of the acreage, I knew she was to person I wanted to represent me when selling my home. Amanda is always professional, works hard for her clients, keeping them informed as the transaction progresses and does so with a positive and pleasant attitude. Amanda is one of the hardest working and most knowledgeable realtors I have met. Thank you Amanda. 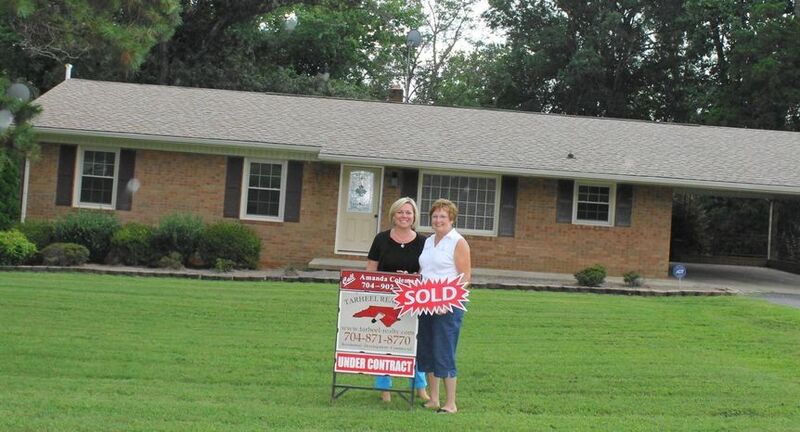 SOLD by Jennifer Griggs in Shannon Acres! Whether you are looking to buy a new home or sell your current home, Tarheel Realty II can help you through all aspects of the home-buying or selling process. As real estate experts in the Statesville, Mooresville and Troutman, North Carolina areas, we are dedicated to providing the best possible service and experience to you and your family. "Realtor Margaret Johnson to the rescue!" Tammy Kennedy is an amazing realtor. Philip Ostwalt listens to what you are looking for and takes, goes and finds it. Philip was very friendly, knowledgeable and easy to work with! Cindy Harris was very friendly and helpful. Brent is the one and only Real Estate agent in our book….he is THE MAN! !